Nayla Vacca, guest teacher on Tuesday 14th November at TSL! 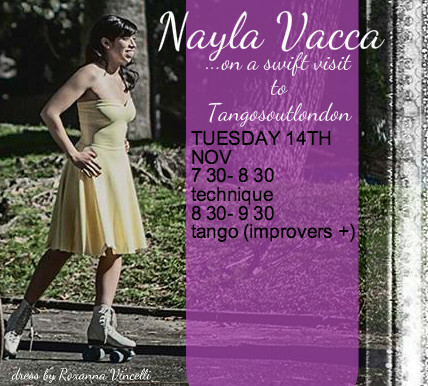 Don’t miss the chance to catch up with Tangosouthlondon’s much loved guest teacher Nayla- for one night only! No need to book- just turn up!